CHIPS THE INCREDIBLE AND THE AWFUL - CHIPS.. The life of a peacemaker often involves holding the good and bad in tension. One recent week really highlighted this. At its start, I’d been watching Darren, our brilliant new community organiser, in action. He’s a former pupil of Evelyn Grace School. I marvelled at his skill in drawing out the anger of young people and quickly focusing this emotion in a positive way, asking them to paint a picture of “the world as it should be”. We also co-hosted a community meal, gathering young people and adults together to share food and play games in a safe, fun and welcoming space for all. Then there was the shooting. As I left our office on Thursday lunchtime, I heard a gunshot. I turned to see a young man with a weapon speed off on the back of a moped. The next couple of hours were a whirlwind of armed police, concerned neighbours and young people, and trying to process what had happened. Thankfully, the young man who was shot at was unharmed. The previous day there had been three other shootings locally. By the middle of the following week the surge of violence had resulted in five young lives lost, four of them in South London. People we know took victims to hospital, witnessed a fatal fight, or had classmates killed. The ripples of trauma extend far beyond those directly involved. What does this mean for the community? Maxine*, a single mum, lives near me in a flat on Angell Town. Because of the risk of violence, she never lets her boys (Jake* aged 9 and Owen* aged 11) go out to play unless she knows exactly where they are and who they are with. Normally she walks them to and from school. Ironically, the day that Maxine had finally felt able to let Owen walk home from school on his own was the day of the shooting. Next day, the Metro newspaper’s headline article highlighted that the peak time for knife violence is when young people are heading home after school. Maxine won’t let Jake and Owen walk home unaccompanied again. The shooting has taken its toll on many more people than the victim. This Christmas, will you stand with the community of Brixton and help them to bring PEACE to their streets, and hope for all young people? 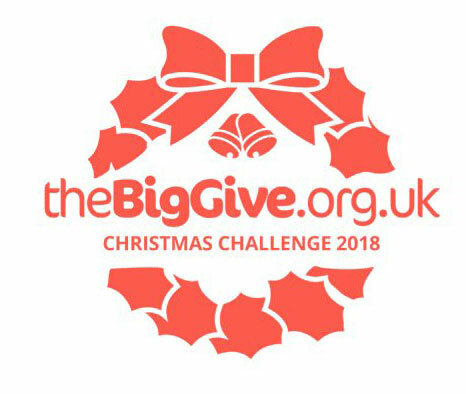 CHIPS is taking part in the The Big Give campaign from 27 November – 4 December. Support us and your donation could be DOUBLED! We need to raise at least £12,000 to help fund peacemaking work in Brixton over the coming year. But we can only do this with your help.